Have you ever thought that maybe the cause of your snacking and overeating could be that you are trying to make up for the nutrient deficiencies that you have from not eating the right things? It’s possible that your body has cravings because it’s trying to tell you to eat more of the essential nutrients that it needs to be healthy. Overeating can lead to weight gain, which is something that most of us are trying to avoid. Your binge snacking or continuous grazing throughout the day is hurting your health, so let’s examine the 5 nutrient deficiencies that might be making you overeat. Believe it or not, a nutrient rich diet allows you to practically eat as much as you want, without the kind of overeating that leads to gaining weight. The National Bariatric Center says that a 2004 study found that individuals who ate a nutrient rich diet were able to lose weight without reducing the total amount of calories consumed. Study participants were placed on a nutritionally balanced diet of 2100 calories per day divided into seven equal servings. The participants were encouraged to eat all of the portions and even more if they were still hungry. Even with the additional food intake, they lost significant amounts of weight and also lost fat around the waist. 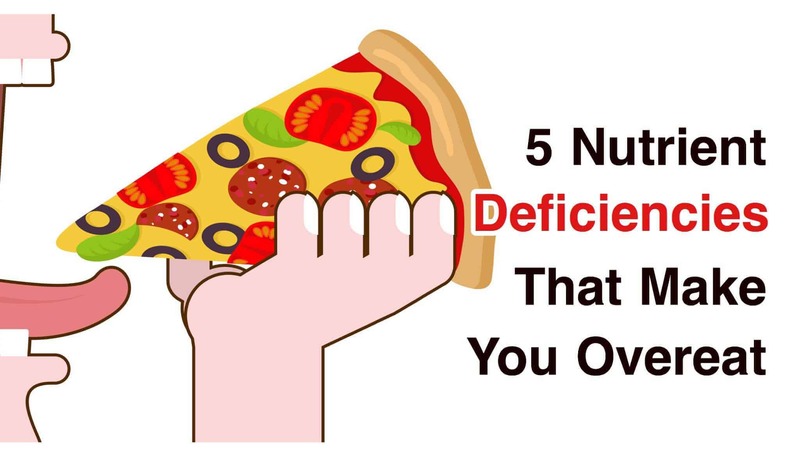 Let’s look at the 5 most common nutrient deficiencies that cause you to overeat. Some vegetarians are surprised to find that they may occasionally experience meat cravings, and this is likely a result of an iron deficiency. Women who are going through certain phases of their menstruation cycle or pre-menopausal women also have these cravings. Omega-3 fatty acids are very important to our overall health, and when you don’t get enough, your body sends signals of cravings that may make you overeat. If you do not include high-quality fish in your diet, add seaweed sources to get this important nutrient and keep yourself from overeating. 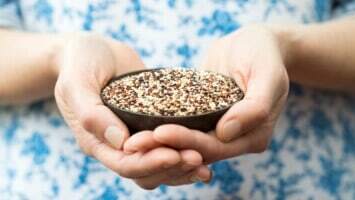 Flaxseed, flaxseed oil, chia seeds, hemp seeds, chickpeas, and Brussels sprouts are all additional vegan ways to get Omega-3 fatty acids in your diet. There are many different B Vitamins and sources of them, and lacking these nutrients could send your body into an overeating binge mode. Your essential B Vitamins are B1 (thiamin), B2 (riboflavin), B3 (niacin), B5 (pantothenic acid), B6 (pyridoxine), B7 (biotin), B9 (folate), and B12 (cobalamin). 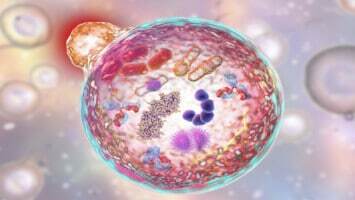 The good news is that seeds, nuts, avocado, and yeast can cover almost all of your body’s nutrient deficiencies while maintaining a healthy vegan diet and not overeating. Magnesium is a mood booster that is almost as effective as lithium in many people. As a result of not getting enough magnesium, which is filtered out of most bottled and filtered waters, our moods are depressed or unstable and we binge eat to try to make up for our less than happy mood. When you binge eat, you might crave sugar, but avoid this non-nutrient food additive because it can cause your levels of magnesium and calcium to be even lower. Stress has a similar effect on reducing your body’s natural levels of the nutrients magnesium and calcium, resulting in a deficiency that leads you to overeat. Researchers at Eastern Michigan University studied vegetarian diets to see if they had enough nutrients to qualify as a nutrient dense diet. The research showed that ‘Mean intakes of fiber, vitamins A, C, and E, thiamin, riboflavin, folate, calcium, magnesium, and iron were higher for all vegetarians than for all non-vegetarians. Although vegetarian intakes of vitamin E, vitamin A, and magnesium exceeded that of non-vegetarians,’ the researchers say that levels of E, A and magnesium should have been higher still for the vegetarians. A deficiency in the nutrient zinc can cause your digestive system to not function properly, resulting in the discomfort of diarrhea. Other signs of zinc deficiency include foggy thinking, thinning hair, poor immune system function, and skin rashes. Your body may be craving this essential nutrient, and a deficiency in zinc may make you overeat just to get what your body needs. Cooked oatmeal and tofu are excellent sources of zinc that will not make you overeat.